Arriving on the ferry from Oban you are immediately struck by the timelessness of the small community on Colonsay, which includes a small primary school, a shop, a post office, a tea shop, a number of seasonal enterprises and one amazing and enterprising little hotel. The Colonsay has commanding views over the sea to the island of Jura. With open fires, painted floorboards and deep sofas throughout, choose from the bar, log room, library or restaurant to relax in. The restaurant is more gastro-pub than formal dining and sources a seasonal menu from the best local and Scottish produce, focusing on Colonsay shellfish, fish, organic salads and vegetables. 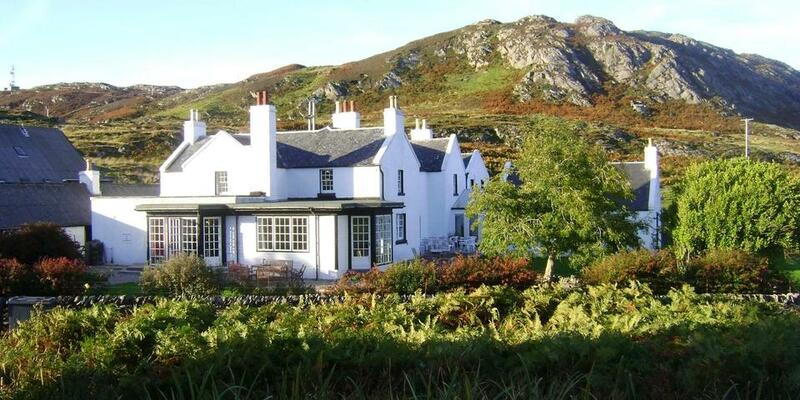 Colonsay is famous for sandy beaches, oodles of wildlife and pure escapism. The island is blessed with the same rugged beauty as its Hebridean neighbours, yet lacks the numbers of tourists, and is thus an altogether more appealing proposition for an excursion through Scotland's Atlantic isles. This Atlantic outcrop is a little over four hours from Glasgow by car and ferry. Readily accessible, it is served up to six times a week by the Oban ferries and by a scheduled Highland Air service from Oban. Highlights of any stay include a spectacular walk around the island and perhaps a round of golf at the island's scenic golf club. The hotel provides a Landrover for those who choose to leave their cars behind, but with views like these and over 200 species of birds to look at, who wants to be cooped up in a vehicle?